How to Make Money on Elance? 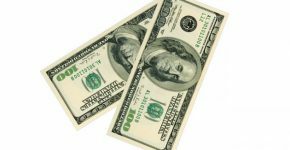 Some really good and useful tips describing how to make money on Elance. This job is likely to fit freelancers, who are ready to work without leaving the house. 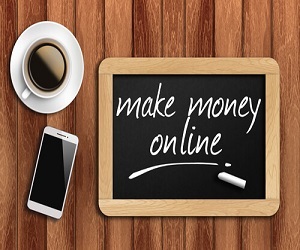 If you have a good set of skills and knowledge, you can make money at home with Elance or other freelance websites. If you wish to be a freelance author, an expert in SEO, web-designer or virtual helper, you can easily create a profile on Elance. 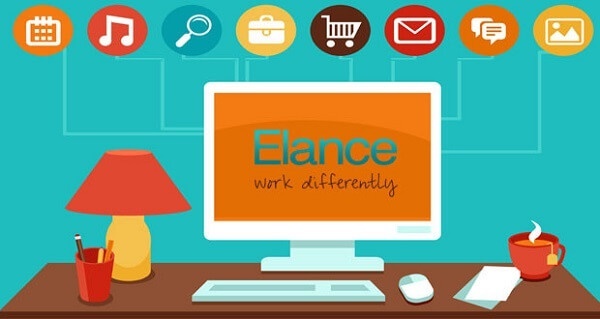 Elance is a freelance site, which connects the freelancers with the customers all around the world. Customers create working places and freelancers send their offers and application forms to them. The demands, terms and budget for a certain task are put in the advertisement of the workplace. It looks like the process of hiring, when the clients must look through the offers and choose a freelancer, who is the most suitable to do the job. So, how to make money on Elance, what is required for it and where to start? Elance is an international exchange, where talented copywriters, authors, journalists, translators, web-designers, programmers and other professional workers may be found. 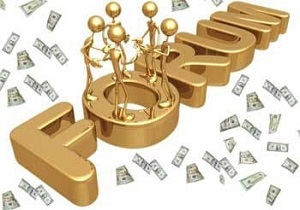 Flexiplace on the Internet with the help of Elance exchange is sure to supply you with tasks and bring actually good money. The most important here is to survive the rivalry. Basic knowledge of English is an essential attribute of communication with the customers. The whole interface is also in English. Choose a field, where you’ll work. Define the direction you are good at (translations, journalism, photography, software development). Fill in the profile with the information and confirm it. The employers prefer the abundance of the information about the executor, which is proved by the system. Prompts of the website are likely to help you. Your knowledge may be estimated by you or by special tests on a subject. Always pass the tests of the system and prove that you are one of the best in TOP-30%, TOP-10%, TOP-5% or a master among the rivals. Make a good and accurate commercial offer on a foreign language. Send it to the potential customers, when you are looking for a job. 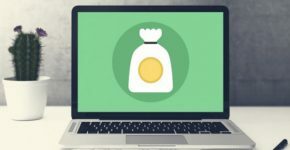 How to start working on Elance, so that you make much money? If you want to make money on Elance, you need to start with making your profile. First of all, register on Elance and click on “I want to work”, which is located in the bottom of the screen. One must register as a freelancer and give the information about himself as well as choose the category of a vacancy. You are to choose the level. Besides, you may adjust the profile by giving all your information. Just click on the button “Find a job” on the top of the site’s navigation panel and choose “Freelancer Profile”. You must upload the photo, write a slogan, describe your skills, minimum rate per hour and write a review. Your profile is like a CV. This is your chance to demonstrate your skills and prove the customers that you are a professional. Please, make sure there are no spelling mistakes in the profile. When you are done filling the profile, Elance will recommend you to upload your work in the Portfolio section. Your portfolio is a proof of your professionalism and shows the quality you can secure. If you want to be successful and make much money at home on Elance, find time and learn how to create a powerful portfolio, where you put on display all your skills and aptitudes. 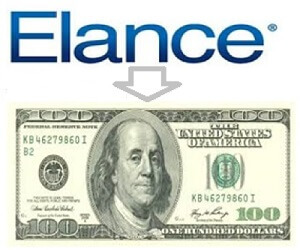 In order to make money on Elance you must find a job. Just click on “Find a job” on the top of the navigation panel and choose a section “Work Search”. You are to pick the criteria, which are going to help you to find a job (kind of task: by the hour or fixed; category, timing, budget or layout). You can look through the advertisement by following the link “Details”. Take part in tendering for work. Offer your services in topics, but learn how to do it beforehand. Clear out all details for the full correspondence of the task. The prices for the job done on Elance strikes. Among the projects one can easily find tasks worth $30-$1000. However, the demands are high as well. Be selective during the projects bidding. Take part only in those tasks, which correspond to your skills and qualification. As there will be plenty of freelancers pretending to the vacancy send your unique offer. Writing the offer, you’d better remember your experience and skills. Your bidding must solve the client’s problem. So, demonstrate that you are a perfect candidate and fit all demands, and you have the needed qualification and skills to do the task. How to make an offer on Elance? As soon as you find the work, you must suggest your performance. You can write the offer in the section “Description”, which you’ll find on the right side. You can write up to 4000 symbols. We suggest you writing short and capacious offers. The customers will receive many bids, sometimes up to 50 or more, and they won’t have enough time to read everything. So make sure your offer stands out even if the clients see through it. Add to the line about your education, experience and examples of the work done a link leading to your articles, published on the Internet. 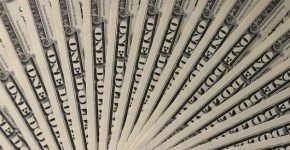 How does the rate influence the income from Elance? Level is a total number of characteristics according to different aspects, such as service, relations with clients and marketing. Each characteristic can and must be improved, because the level influences the rating on Elance and the probability of been shown to the potential employers. Besides, all customers look at it when choosing a freelancer. It’s obvious that the higher level proves the bigger activity, income and the level of clients’ satisfaction. However, there are a few nuances here. 1. The refusal in a job also influences your level. Before accepting another project learn everything, figure out all details and make sure you are capable of doing the task, because every refusal is counted in the rating and decreases it. Nevertheless, there is a note – influence only those refusals, which happened because of the unsatisfactory freelancer’s work. In any case you’d better spend some time on the research, because who knows how inadequate your employer is. 2. You liked us, live a review! Feedback is one of the most important sign of being successful – the more nice feedbacks you have, the higher is the level. Good news – the customer may leave feedback only after the work is done. So, if you see you are not able to make it in time or the work doesn’t correspond to the declared one, you can always come to an agreement. For example, lower the price or do some extra task in exchange for a good feedback. Bad news is that any time during your work on the project your customer may come and leave the so-called mid-job review. Yes, it isn’t shown to all users, but Elance team sees it and takes it into consideration. One more small piece of advice on how to get a feedback – write your feedback on the customer first. Surely it must be positive, and you’ll probably be answered in the same manner. 3. Huge success is seen from far. The more money you get from every customer, the higher is your rating. Many newcomers stop the gap and do tens of almost free tasks, and it’s correct – where else they are going to get the reviews. 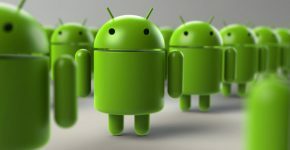 But be aware that the microscopic small tasks from the more or less advanced users will also be counted in the total rating. 4. Be polite and answer all invitations. We often receive invitations, which have no connection to our sphere/ competence or wish, but even in such cases you can’t close your eye on them. It also influences your level. Always respond (in case in some long-term perspective it’ll become useful, who knows), and if the project is totally hopeless, the refusal is also the answer. 5. Estimate yourself twice higher – don’t put the price lower that the customer gives. You can’t set the price, which is lower than the employer suggests. Few people know, but it’s liable to punishment in the limits of Elance system, of course. Besides, the offers without fixed price aren’t considered to be the offers lower the budget. Read also: How to Make Money Teaching Online? How to get the money made on Elance? You can carry out the transactions on Elance with the help of debit or credit cards, or your account on PayPal. When the work is done, the employer agrees to such execution, the money is put on your account. So, the customer knows that the money won’t be paid until the job is done. If the argument between a client and a freelancer happens, somebody from the Elance team may interfere. If you plan to become a successful worker and make much money, only Elance exchange will lead you to the copywriting on world level. Flexiplace on the Internet is focused on the users from certain countries, each of them has their own prices for the service. International ground for the freelancers is out of rivalry, because it sets the score, which not many resources can catch up. However, it’s created for the professionals, who have high level of qualification. When you become familiar with all details and nuances of the work on the exchange, you know beforehand how to make money on Elance.